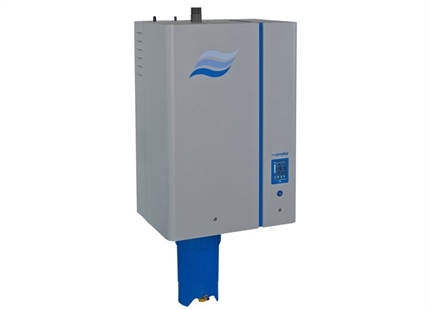 The Condair SE humidifier provides sterile steam for in-duct humidification from impure, raw boiler steam. 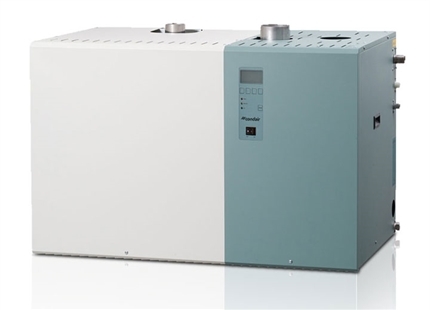 The raw steam passe through a stainless steel heat exchanger, providing the heat to produce clean steam that is distributed to the air handling unit or duct. 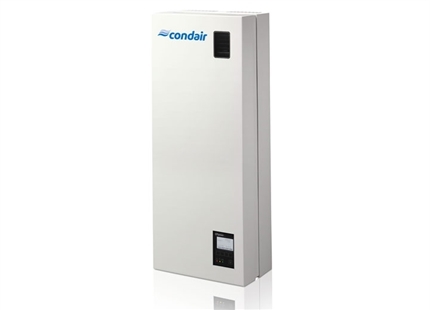 The Condair SE is available in a variety of outputs with models ranging from 23 to 477kg/hr. 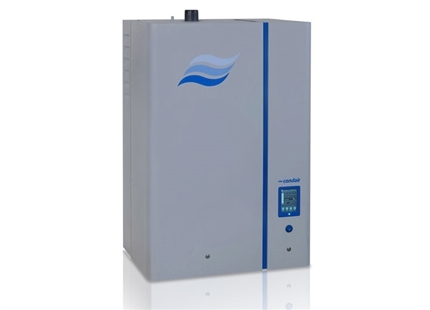 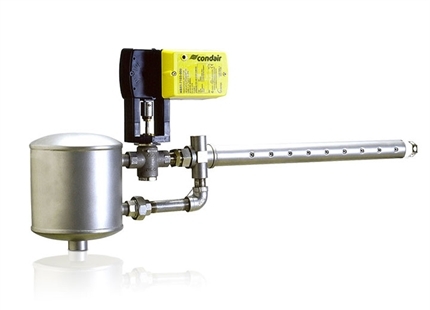 It is ideal for use in buildings with a central boiler system, like hospitals or large institutions. 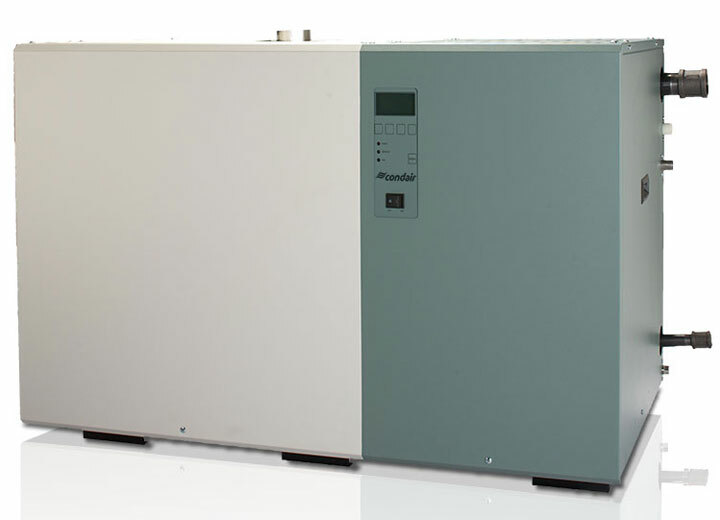 The heat exchanger has been designed with large flat surfaces to make maintenance easy when removing scale. 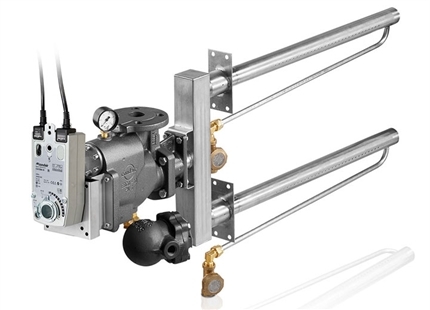 An outdoor model with weather-proof enclosure is available.